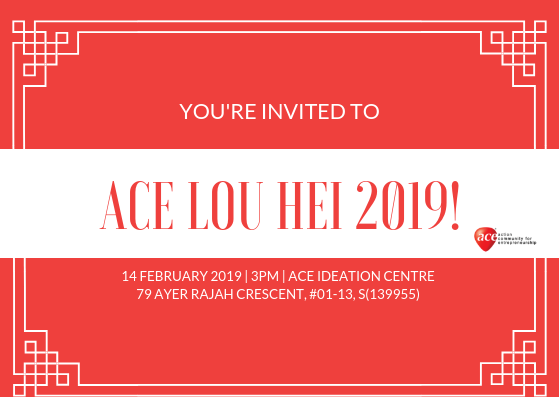 Title: ACE LOU HEI 2019! Join ACE to celebrate the Lunar New Year 2019! Come join the Action Community for Entrepreneurship (ACE) to celebrate the Lunar New Year!